Anthony is a New York theatre producer that has been directing, writing, and teaching for over two decades, as well as performing professionally on stage, television, radio, and film for almost 30 years. In 1999, Anthony founded Triangle Theatre Festival, Raleigh-Durham’s leading theater production company for corporate events, and soon followed with two sister companies, the Pumpkin Patch Cooperative Scene Shop and Bull City Players professional stage company. Taking on both original and previously-produced works, Anthony led Bull City Players to numerous awards and honors including being named to the Triangle Area’s Top Ten list and directing company members to multiple Best Actor and Best Supporting Actor awards. 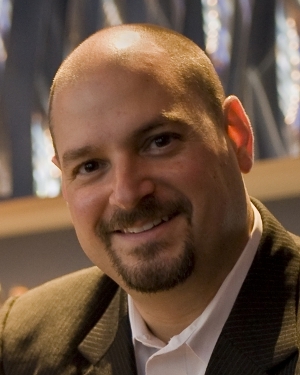 Anthony was asked to return to New York in 2007 to serve as the Director of Operations for the John W. Engeman Theater, Long Island’s only year-round Equity playhouse. Upon arriving in Manhattan, Anthony founded Broadway Theatre Studio, which has quickly grown into one of the city’s most vibrant new play development workshops. His smash-hit musical comedy on the history of cocktails and spirits, The Imbible, is currently running Off-Broadway at the historic SoHo Playhouse. Anthony is a favorite guest on programs like The Dr. Oz Show, FOX Money, and Martha Stewart Living Radio. He also hosted DNC Radio’s popular Theatre Spotlight program, and he’s appeared in well over 100 short films and corporate videos. Anthony graduated from Duke University with a degree in Mechanical Engineering and a concentration in Music, and studied classical voice under world-renown vocal instructor John Hanks. He sang with The Accidentals professional acappella group for nearly seven years, and he’s also performed with The North Carolina Opera Company, Duke Opera Workshop, the Durham Civic Chorale Society, and Duke Chorale. Currently, Anthony sings with Manhattan’s award-winning Voices of Gotham. He is a New York State registered teacher, a member of the faculty at The Institute of Culinary Education, and the Managing Editor of Chilled Magazine. Anthony is also a highly sought-after public speaker, and when he is not developing a new play or teaching he travels around the world creating and hosting seminars and events for corporations such as Cargill, Bacardi, and Beam Global. Nicole DiMattei is an accomplished writer and musical theatre performer who has been directing, choreographing, and teaching for almost a decade. After receiving her degree from the American Musical and Dramatic Academy, she left New York for a stint to perform in the stage shows at Walt Disney World. Since then, she’s been keeping herself busy working at regional theaters, doing tours, and performing off-Broadway. 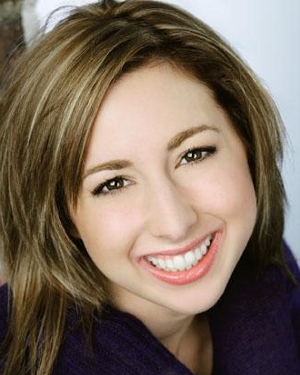 Nicole has taught and directed for the Downstairs Cabaret Theatre’s children’s program and currently teaches children’s tap and ballet classes here in New York City. She is also an Amazon bestselling novelist with numerous additional writing credits that include national magazines, a web series, and several stage plays. Her script On The Uptown 2 Express Train was a Finalist in New York’s Strawberry One-Act Festival where she also received a Best Actress nomination, and her most recent play, I Feed You, was produced in the 2014 New York International Fringe Festival. Nicole is a founding member of Broadway Theatre Studio, and she directed the company’s critically-acclaimed Off-Broadway production of The Imbible. She is a Certified Personal Trainer through the American College of Sports Medicine, a certified Zumba instructor, and a Cocktail Stylist for Nuptini DIY Wedding Cocktails.